Matt is a trial lawyer who represents clients in high stakes commercial litigation. 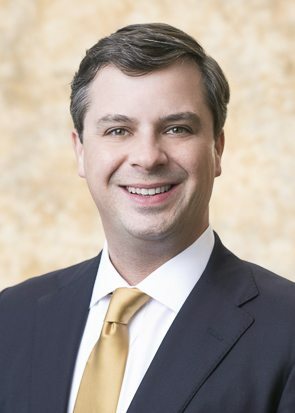 While devoting a significant portion of his practice to representing contractors and design professionals in construction cases, Matt regularly counsels businesses and litigates complex commercial disputes in both state and federal court. Matt understands that there is no substitute for hard work. Guided by a commitment to excellence, and no matter the client or adversary, Matt and his team carefully review and investigate all of the facts, understanding that attention to detail wins big cases. It is only because of this careful preparation that he can develop an effective trial plan. Recognizing that more companies than ever before rely on electronic business records, Matt and his team use software and technology to effectively gather, organize, and analyze troves of electronically stored data. Before joining Burr, Matt successfully represented physicians, architects, and engineers in professional liability lawsuits across Alabama. He was also the youngest-ever General Counsel and Chief Legal Officer for one of the region’s largest privately-owned architecture and engineering firms. Through this experience, Matt understands the importance of aligning a company’s business goals with its litigation strategy.